Aqua Runner is addictive tunnel avoiding game. Tilt your iphone/touch up and down to swim through undersea tunnel with avoiding other fishes. Swim as long as you can. 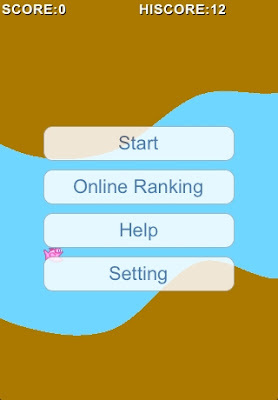 You can compete the world via online ranking system. If you prefer to use touch control, it can be activated in setting menu. • Special thanks. Image is from here. subscribers and I would like to review your app. If you can send me a few promo codes (some for giveaway) I would love to feature the app on my channel.